August 26th in Viral, Wordpress Plugins by Wordpress Jedi . Memes are everywhere these days. Not all memes go viral but those that do can bring you lots of shares and views. You don’t have to spend a whole lot of money to get your hands on a decent meme generator these days. 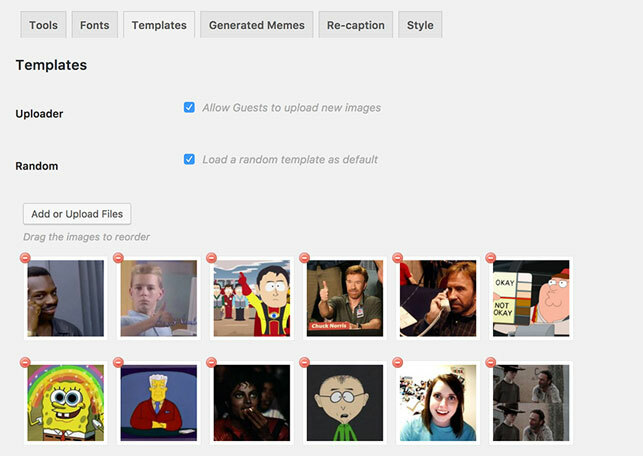 Take the MeMeMe plugin for instance: it is a paid plugin that turns WordPress into a meme generating site. MeMeMe comes with 3 shortcodes and widgets. It has a touch-enabled interface and lets you use custom colors and Google fonts to make your memes stand out. You can also upload templates and even allow guests to upload their own images. Want to set a custom watermark for your memes? No problem.